The aim is to detect sudden temporal changes in image sequences, focusing on bright objects that appear in a few consecutive frames. The proposed algorithm detects such outliers by computing a variance weighted deviation from mean values for every pixel. On this result, an object segmentation based on 2D-moments and its invariants is done frame by frame at a ≈ 3σ threshold. 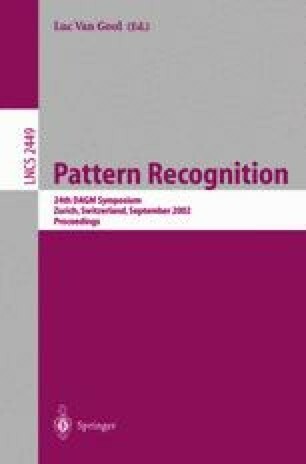 The algorithm was designed for a wide range of tasks in pre-processing as a tool for detection of fast temporal changes such as suddenly appearing or moving objects. Two different applications on noisy sequence data were realized. The entire system proved to fulfill the requirements of industrial environments for online process control and scientific demands for data rejection. The author thanks M.D. Schmidt and S. Hader for their comments and input.